National Geographic's Pristine Seas project, in collaboration with the government of the Seychelles, the Island Conservation Society (ICS), the Seychelles Islands Foundation (SIF), and the Waitt Foundation, conducted an expedition to explore the poorly known marine environment around these islands. The goals were to assess the biodiversity of the nearshore marine environment and to survey the largely unknown deep sea realm. The data collected contribute to the marine spatial planning of the Seychelles, in particular the creation of large marine reserves. Copyright 2015 by National Geographic Pristine Seas. All rights reserved. 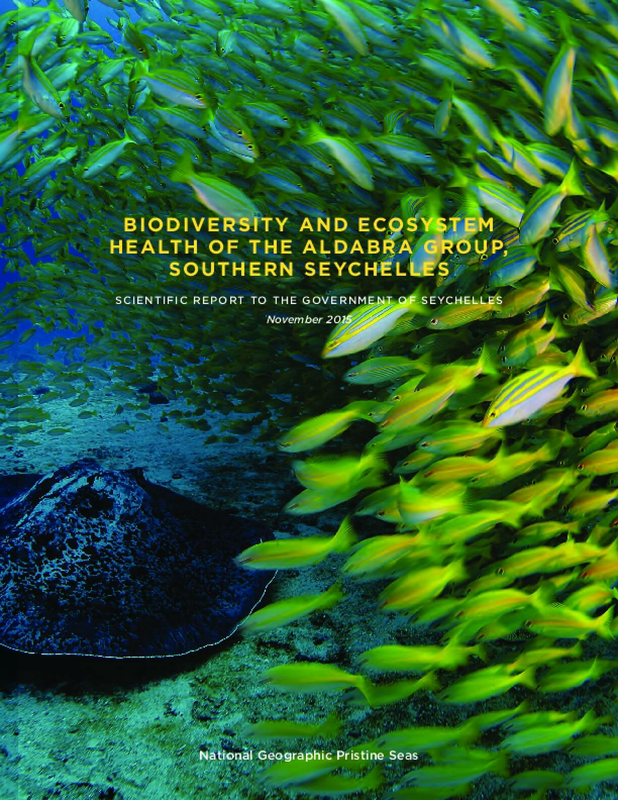 Title: Biodiversity and Ecosystem Health of the Aldabra Group, Southern Seychelles: Scientific Report to the Government of Seychelles.